Four generations of recipes from the kitchen of the Anderson House, the oldest continuously operating hotel in Minnesota, have gone into the making of The Anderson House Cookbook. Famous for its wonderful breads and desserts, the Anderson House has championed a tradition of homemade quality that has brought visitors flocking to the historic inn overlooking the Mississippi River. Built in 1877, Bob Artley’s family farm in Hampton, Iowa, was without indoor plumbing and was heated by a wood- and coal-burning stove. The prevailing atmosphere was love and security, especially during the holiday season. It created a magical childhood that Artley wishes every child could have had the opportunity to experience. This sharing of his memories is an endeavor to make that wish come true. Hardcover. The charming tale begins in Claddagh, Ireland, with the love of Richard and Nuala, who wish to be married but cannot afford to do so. Richard, in turn, leaves Claddagh in search of his fortune, and along the way, his ship is taken over by pirates. Richard is sold as a slave, and many years pass before he is able to return to Claddagh. Much to his surprise, he finds Nuala still waiting for him. Grady is a 1,200-pound Hereford cow that gets herself mysteriously stuck in a silo. No one can figure out how to free her until a heroic reporter from Denver solves the problem. Grady’s in the Silo is a charming story about patience and perseverance. Hardcover. This book traces the history of dance in Ireland and reveals how Irish dance has survived centuries of emigration, invasion, and persecution. It is more than the history of dance, however, with chapters on music, dance costumes, competitions, and the phenomenal revival. The book also defines the social and cultural significance of dance in Ireland and among the Irish Diaspora. For the smitten fan of Irish dance, there are instructions and illustrated steps to two elementary dances. Hardcover. Jack Hinson never planned to become a deadly sniper. A prosperous and influential plantation owner in the 1850s, Hinson was devoted to raising his growing family and working his land. Yet by 1865, Hinson had likely killed more than one hundred men and had single-handedly taken down an armed Union transport in his one-man war against Grant’s army and navy. By the end of the Civil War, the Union had committed infantry and cavalry from nine regiments and a specially equipped amphibious task force of marines to capture Hinson, who was by that time nearly sixty years old. They never caught him. Since then, the story of Jack Hinson has evaded astute historians, and until now, he has remained invisible in the history of sniper warfare. In all of the six tales in Leprechaun Tales, humans are taught a lesson by the little people, whether as a result of overwhelming greed for the gold, picking flowers where flowers are not supposed to be picked, or merely not believing in leprechauns. They have even been known to help humans in great need—when sufficiently pleased by a kind act. Hardcover. Who could add to the merriment of St. Patrick’s Day more than leprechauns? When they make up their minds, they are determined to make mischief . . . and that is just what they do in A Leprechaun’s St. Patrick’s Day. Dublin’s St. Patrick’s Day Parade will never be the same! 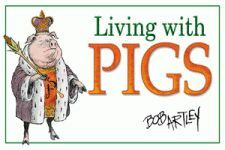 Winston Churchill once said: “I am fond of pigs. Dogs look up to us. Cats look down. Pigs treat us as equals.” This may be one reason for many people’s fascination with pigs, but a more likely reason might be the long history of nearness to them. In America, less than a century ago, there were family farms where people raised, among other things, livestock for market and for the family’s consumption. Nearly all of these family farms raised a litter or two of pigs. When pigs live near, they are always in the imagination. Natural escape artists, smart and quick-witted, full of personality, pigs invite comparisons to humans. Hardcover. This delightfully entertaining story introduces the reader to Meghan and Sean O’Sullivan, their three grandaunties, and Lucky O’Leprechaun, who has pestered the O’Sullivans since the time of the Vikings. Hardcover. In the farm home of America’s past, the hearth of the home—the kitchen—represented the warmth and well-being of the family that met daily to enjoy hearty, homemade food and converse with pleasure. 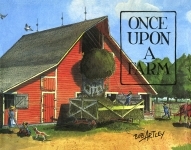 Award-winning artist Bob Artley evokes this ideal in this beautiful homage to the traditional Midwestern farm kitchen. 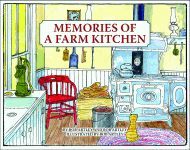 Filled with heirloom family recipes and cozy memories and accompanied by Artley’s signature pen-and-ink drawings and full-color illustrations, this memoir provides a nostalgic and affectionate look at rural life, family, and food from a simpler time. From the butchering of the pigs in springtime to the plowing of the corn in the summer, Bob Artley describes the sometimes tedious, sometimes enjoyable, aspects of growing up on an American farm. 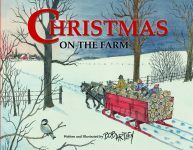 Artley’s farm is neither ideal nor outmoded, but simply his world as it was in a particular time and place. Hardcover. In the lore of the Wild West, the Younger brothers have been glorified as heroes and outlaws. Like Jesse and Frank James, with whom the Youngers once rode, these men are remembered for bank robberies, the Great Northfield, Minnesota Raid, and their hooliganism. Ride the Razor’s Edge dramatically describes their adventures, while also placing their actions in the wider perspective of the times in which they lived. This revised and updated twenty-fifth anniversary edition stresses the importance of honesty, loyalty, faith, integrity, and strong personal character. See You At The Top emphasizes the value of a healthy self-image and shows how to build it. Hardcover.